Our sweet girl turned two months old the beginning of this week. She is now just slightly bigger than her brother was at birth. It is funny putting her into outfits that he wore his first week of life. Also similar to his first week of life we are still waking our daughter to feed her throughout the night. which means this mama is not getting anywhere near stretches of sleep longer than two hours. This is something you kind of expect as a parent, right? But with my son that lasted about three weeks and then I got closer to 4-5 hours in a row and we are on week seven this time around so the cumulative effect of the exhaustion is just… much stronger. All that to say the world is kind of blurred and I am spacing out on some pretty basic things some days. 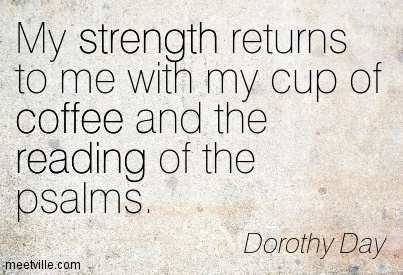 Enter the magic of coffee. The drinks I’ve been making this month have all focused around that sweet little burst of caffeine that I couldn’t even stand to smell during my pregnancy. Most days I don’t have the energy to do anything to my java aside from splash some milk into my mug, but recently I’ve been having a second cup in the afternoon as my self care ritual if one of the kids is managing to sleep and I’ve been getting a little fancier with that. In fact, I haven’t even just been using coffee as my base but breaking out our old standby, the Nespresso machine. 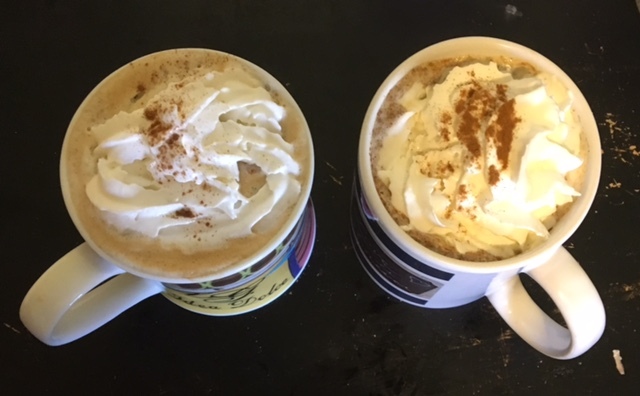 The favorite drinks this month so far have been a Nutella Latte and a copycat Starbucks Cinnamon Dulce Latte. For the Nutella Latte, I didn’t even follow the recipe I’d originally pinned. I literally just mixed a about a teaspoon of Nutella into hot milk, stirred that together with my freshly brewed espresso, and topped with a little whipped cream! The cinnamon dulce recipe was a little more complex so I used this recipe only I modified a bit since I preferred the espresso pods we already had to the instant espresso suggested on that website. That meant I had to adjust liquid amounts just a tad but I don’t think the drink needs to be exact to taste delicious! I especially loved the suggestion to top with whipped cream and sprinkle a little extra cinnamon on top! It made my husband and I feel extra indulgent and it just looked so pretty! I can’t tell you if being off caffeine for so long is helping the coffee feel so wonderful now, or if it is more of a mental game and placebo effect of being able to partake in this comforting ritual again, but either way it is a small, ordinary thing for which I am so grateful! It brings a little order to my day as I drink it and do my morning Bible readings (my Lenten goal/additional prayer time) and has been a great mental cue to take a breath and start over when things are getting a little extra crazy. Plus, making it at home means I’m not blowing our budget on Starbucks runs and it is seriously so much easier to make a great treat than I thought. Cheers to that! Posted this on my social media earlier this week. It may be one of my new favorite quotes!